I am a big fan of ABC’s sitcom black-ish. My family life mirrors the Johnson’s in a very real way. So I was excited to see their season premiere this week. I was even more excited to see that they visited Walt Disney World with Disney VIP Tour Guides. After watching the episode I can relate to the Johnson’s even more. 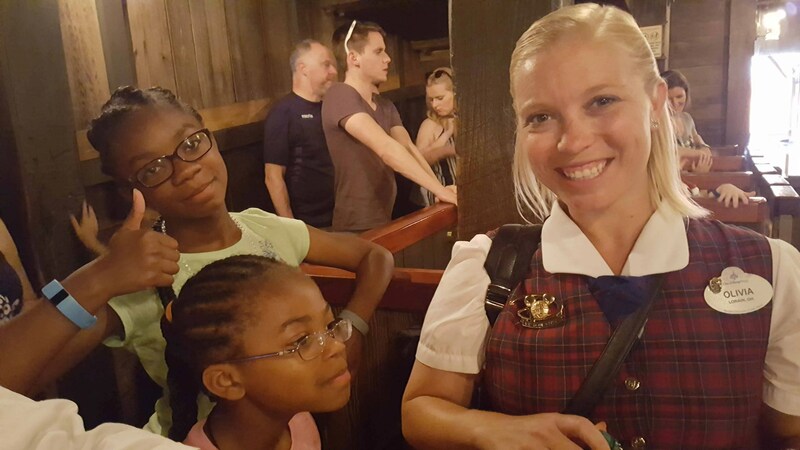 Our most recent visit to Disney was this past Mothers Day during the Disney Social Media Moms Celebration. Our entire family was invited for a weekend celebration where Olivia was awarded the Dream Big Princess, Empowerment Award. It’s a coveted invitation for social media influencers, at which I was honored to be a fly on the wall. During that visit, we were granted a VIP tour guide for the day. Her name was Olivia. We immediately knew it was meant to be. She led us through the parks, behind the scenes, into special entrances and to the front of every line of our choice. It was pretty awesome. After that experience, I don’t think I want to visit Disney any other way. Here’s why. Did you know that Mickey was almost named Mortimer? Our tour guide did. Want to know the best time to see the most popular attractions? Ask your Disney VIP Tour Guide. Where are the best bathrooms for families? She knows. What’s the quickest way to get from Space Mountain to Splash Mountain? He knows that too. Make the most out of your time by leaving the logistics and pre-planning up to them. No need to set your watch by the FastPass time slots and run back and forth across the parks trying to make your window. Your Disney VIP Tour Guide is your FastPass. Have you ever gotten a FastPass for Toy Story Mania! at 10 AM for a 4 PM ride? Yeah, me too. With a VIP tour, you can walk straight through the FastPass lane. Whether you do it with humility or arrogance like the Johnsons is up to you. Gotta party of three? Not anymore. Your Disney VIP Tour Guide will fill out your party so no one has to ride alone. Need someone to hang with little Jimmy while you ride Expedition Everest? Your Disney VIP Tour Guide will do that too. Olivia hung tough with us through Big Thunder Mountain, The Kilimanjaro Safari, and Splash Mountain. The girls wanted to ride it three times; I was done after the first ride. There is one thing I suggest you plan ahead to do with your VIP Tour – live shows. Depending upon how long you have your tour guide, it may be difficult to get in for Finding Nemo – The Musical or a spot on stage in Star Wars: A Galaxy Far, Far Away if you don’t reserve your spot early. So to make sure you get to do your special meet and greet with Nemo, Dory, and Marlin, have your Disney VIP Tour Guide book your spot first thing. We missed this opportunity, so take my word for it! As if you weren’t already special, with a Disney VIP Tour Guide, you’ll be visiting the most magical place on earth just like some of the most famous people on earth. 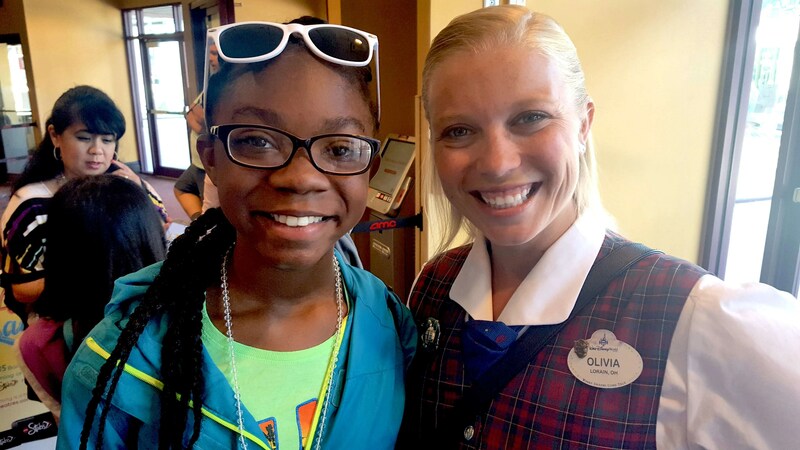 Olivia has provided tours for Boyz2Men, Pentatonix, and members of the Queen of England’s Royal Court to name a few. The week we were there, Joe Flacco and his family were visiting VIP style as well. If this status doesn’t matter to you, don’t worry, all the other reasons I’ve given are enough to book your VIP tour today. Book your Disney VIP Tour on the Disney World website here. What would you want to experience on a Disney VIP Tour? Hi! I'm Anitra. Harold's BLISSful wife. Momager to #SuperKids #OliviaAllen and #AwesomeAlexAllen, and a former corporate project manager who now helps moms enjoy more meaningful moments with their families by getting more done in less time with less stress. Now this is how I need to do Disney. VIP status! Sounds like a good service. p.s. I;m so glad Micky Mouse was not named Mortimer….I don’t think it would have had the same ring to it. Wow this is really cool. I’ve been to Disney on my own, but never thought to do a guide. Looks like you guys had a great time. We had an awesome time. After doing Disney on our own for years, this was so much better! Do it! You’ll have a blast! I’ve always wanted to go to Disney. I might need to be on VIP when I actually go. LaShonda, you will LOVE it! Sign me up for the Motherhood Monday newsletter! Get each new post delivered directly to your inbox. Just enter your email address and click the subscribe button.